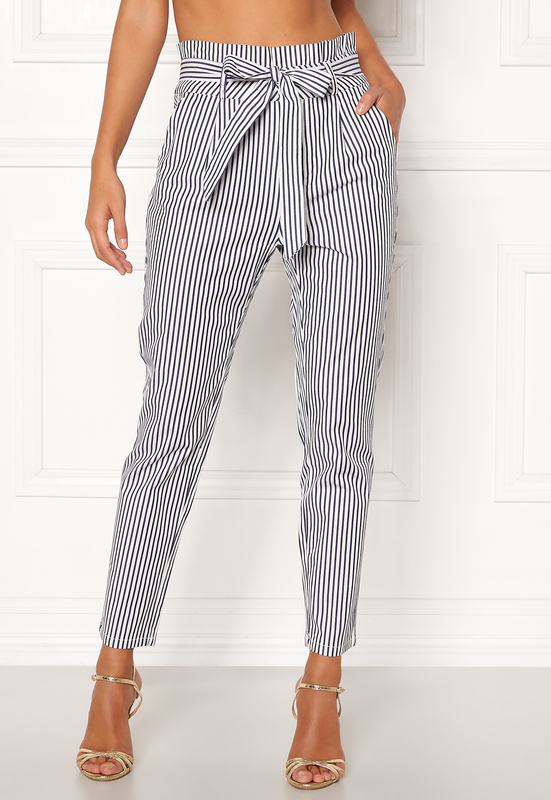 Lovely pants in a looser style from VERO MODA. Stylish tie waist that is also detachable. Inside leg length in size S: 70 cm. The model is 176 cm tall and wears a size S. Machine wash at 30 degrees.